Oncology « Global Market Insights, Inc. This entry was posted in Healthcare & Medical Devices and tagged Cas9, CRISPR, CRISPR Market Analysis, CRISPR Market Report, CRISPR Market Size, DNA, Gene Editing Companies, Gene Editing Market by technology, Gene Editing Market Regional Analysis, Gene Editing Market Size, Genetic Mutation, Genome Editing, Genome Editing Market Size, Genome Engineering Market, Genomics, Global Gene Editing Market, Global Gene Editing Market Research Report, Global Genome Editing Market, Hematology, Infectious Disease, Meganucleases, Muscular Disorders, Oncology, TALENS, ZFNs, Zinc Finger Nucleases. One of the pivotal factors influencing precision medicine market size in recent times is the emerging approach for disease diagnosis & prevention that is calculated based on the genes and lifestyle of a person. Research claims that the precision medicine approach will help researchers and doctors to forecast the type of treatment that a patient would require and the kind of preventive measures that would be required for selective diseases. Considering the significant mark that this approach has made in the healthcare sector, precision medicine industry giants have been striving to exploit the potential of this technology to improve the accuracy of day-to-day healthcare. Recently for instance, The Michael J. Fox Foundation has collaborated with 23andMe and invested USD 4 million to construct a research facility for Parkinson’s disease treatment using precision medicine. This collaboration will reportedly open up potential opportunities for researchers to improvise on genetic biology with excellent drug designing related to precision medicine. The prevalence of scientific partnerships such as these among the biotechnology companies and research organizations will impel precision medicine market share. As of today, next generation sequencing (NSG) technologies have been making their mark in precision medicine industry, driven by reduced expenditure, understanding of the genetic know-how of diseases, and high throughput sequencing. 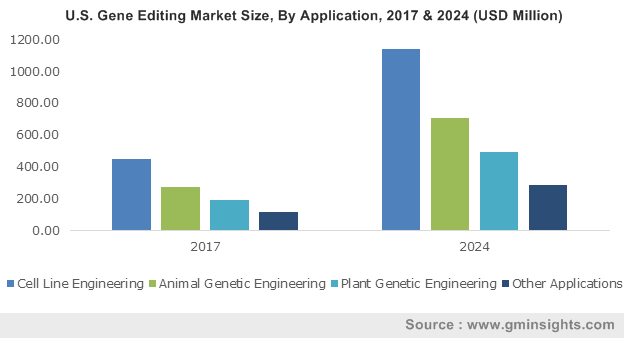 The prevalence of NSG technologies may specifically have an impact on U.S. precision medicine market, given the vast expanse of the healthcare and medical research verticals across the region. Driven by the substantial adoption of NGS panels in precision medicine, U.S. accounted for the largest regional share of precision medicine market in 2016. The U.S. government has also been enforcing regulatory norms and undertaking favorable initiatives to generate awareness among the populace regarding the benefits of the precision medicine approach which would further help augment U.S. precision medicine market. Regional governments have been going the whole hog to promote the usage of precision medicine systems via funding and private-public partnerships. In Australia for example, the government has been providing substantial funding to numerous companies and upcoming entrepreneurs to invest in precision medicine industry and the 3D printing technology. Initiatives of a similar kind undertaken by governmental bodies across numerous geographies are likely to augment the overall precision medicine market. Speaking of which, NanoString Technologies, Novartis, Intomics, Biocrates Life Sciences, Tepnel Pharma Services, Roche, Silicon Biosystems, Ferrer InCode, Novartis, LabCorp, Quest Diagnostics, and Medtronic are some of the names that have been accumulating a commendable share of precision medicine industry. Research institutes have been giving substantial preference for precision medicine given that the technology helps diagnose children with cancer. The computational approach of precision medicine to share the patient’s database across the globe will transform the healthcare sector over the coming years. In addition, precision medicine has the capability to enhance personalized healthcare through disease detection at an earlier stage and supplying sufficient information regarding the progression of disease. Speaking along the same lines, it is prudent to mention that the quality, affordability, and accessibility of healthcare systems has improved substantially due to the emergence of precision medicine. The surging adoption of this technology for care delivery, clinical outcomes, operational performance, and clinical workflows will thus propel precision medicine industry share in the forthcoming years. According to a precision medicine market research report put together by Global Market Insights, Inc., this business vertical is slated surpass a revenue collection of USD 96 billion by the end of 2024. This entry was posted in Healthcare & Medical Devices and tagged Big Data Analytics, Bioinformatics, CNS, Companion Diagnostics, Drug Discovery, Gene Sequencing, Global Precision Medicine Market, Immunology, Oncology, Personalized Medicine, Precision Medicine Market, Precision Medicine Market Analysis, Precision Medicine Market Growth, Precision Medicine Market Report, Precision Medicine Market Size, Respiratory.